A quick take on "Wanted" and Kennedy, Giles, & Heller. And here it is in larger format at CLTV. I've got no idea what exactly a Justice of the Peace is in Nevada; I'm just impressed that somebody from my class is already trying to become a judge. NRS 4.170 Duties of justices of the peace. The justices shall be conservators of the peace in their respective townships, and shall discharge such duties as may be prescribed by law. Heck, if we had townships in Virginia that could describe my job. Justice of the Peace/Justice Court The Justice of the Peace is required to preside over a variety of hearings, including preliminary examinations in felony and gross misdemeanor cases, trials for misdemeanor criminal matters, as well as, traffic violations, formal civil suits, small claims actions, temporary restraining order hearings, and landlord/tenant hearings. In addition, the judge performs marriage ceremonies, and is subject to call out at all hours of the day and night to issue search and arrest warrants. In other words it's what we in Virginia call a General District Court Judge. Once upon a time a sheriff made Shaq a deputy. 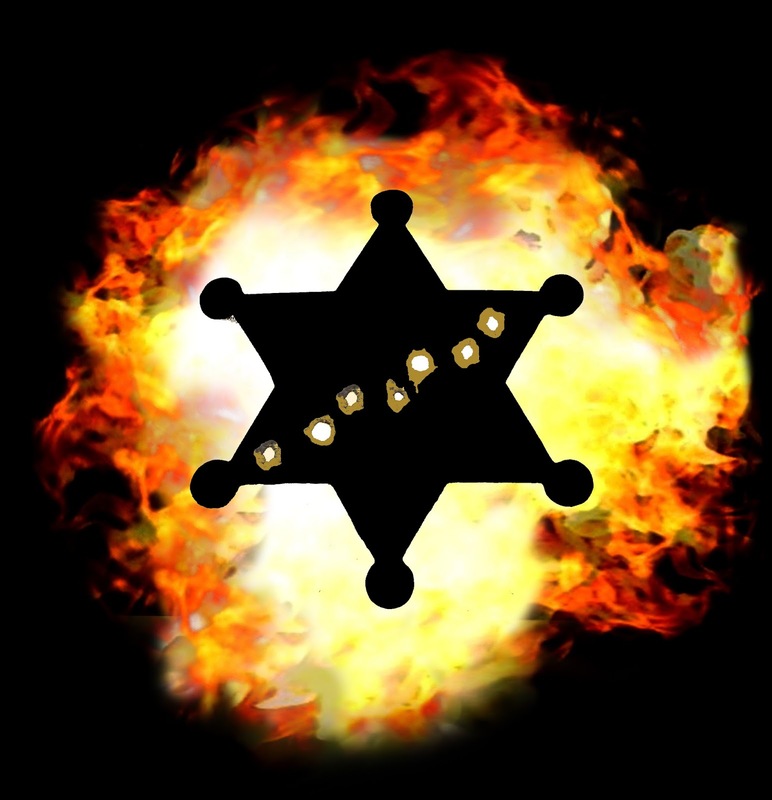 Now, the sheriff wants his badges back. Why? Reviewing the Latest and Greatest. News from around the blawgosphere: Volokh to Simple Justice and others . . .
Yeah, Well, My Dad's a Mild Mannered Reporter . . .
And apparently they travel with a lot of money (that smells like pot). They just might turn you in to the judge. Tim Donaghy, a former NBA ref who has pled guilty and is facing federal sentencing, had the NBA file a million dollar restitution claim against him. Facing this somewhat doubtful, but possibly very damaging claim, how did Donaghy react? His lawyer filed a letter to the judge "explaining" how Donaghy is cooperating and pointing out manipulations which the NBA and its refs have engaged in to make the "right" teams win (or, at least have a better chance to win). The only question left is who has greater credibility, the WWE or the NBA? At least the WWE doesn't pretend to be a real sport. Kaine, who opposes capital punishment, has let five executions proceed. This was the first time he commuted a death sentence. I'm sure Tom will have something to say about this. A bit of tech for a change. Hopefully some of it will sink in on some of ya'll out there who keep insisting on using these things called "books" and actually talking to people face to face (how very 5 minutes ago ). Here's the link to CLTV itself. At about 5:22 a.m., someone tried to solicit the purchase of illegal methadone on this site. At about 6 a.m. (when I woke up), I deleted the solicitation. Not cool. Not appropriate. Not here. Keep that garbage off my site. 1. A year at Yale. 2. A gawdawful ugly statue (seen right). The appropriate punishment? Make the thief keep it. 7. Money from McDonalds (when you don't turn in the money earned for several days someone will become suspicious). 14. A bull: "A Westmoreland taxi operator was arrested after a cow's carcass was found in his taxi Tuesday morning." So sayeth the Nine Wise folks on the Federal Supreme Court. Don't post your location and dare the authorities to come get you. Could be. It could also be that the same guy wrote the brief in the moot court competition and the note. Interesting. My camera shoots much better in B&W. Stick around to the end for the Hancock trailer. Here's the link at CLTV. "I didn't drink! I was kissing a boy who was drunk!" Somebody put a lot of work into this.